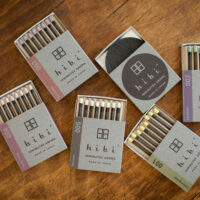 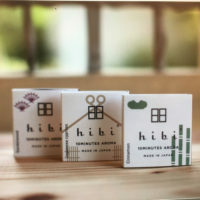 Hibi (“day by day” in Japanese) is an incense match that you can light easily without a lighting device, giving out a soothing aroma. 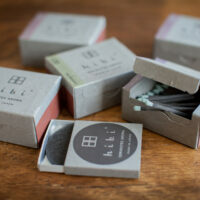 Seven herb fragrances: Lemongrass, Lavender, Geranium, Tea Tree, Ylang Ylang, Citronella and Yuzu. 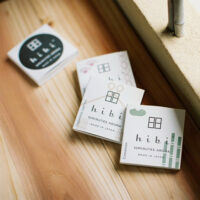 Available in three Japanese fragrances: Japanese Cypress, Sandalwood and Cinnamon.